Initial support for Launchpad PPAs (only Launchpad!) added to /etc/apt/sources.list instead of /etc/apt/sources.list.d/ (experimental). Note: the duplicate PPAs removal, "Re-enable working PPAs after Ubuntu upgrade" and "Update release name in working PPAs" features don't yet support this. Manage PPAs: new option to update a single PPA. 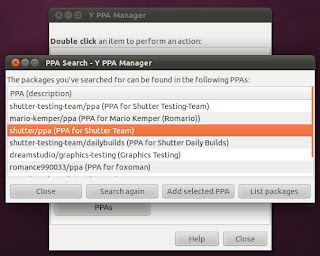 This was already implemented in Y PPA Manager and was used when adding a PPA, but there wasn't a GUI implementation to manually update single PPAs. Many "update-ppa" improvements (this is the command line tool used to update single PPAs; use "update-ppa --help for more info), including a fix for Linux Mint or support for more repository formats, e.g. "update-ppa http://archive.ubuntu.com/ubuntu quantal main". 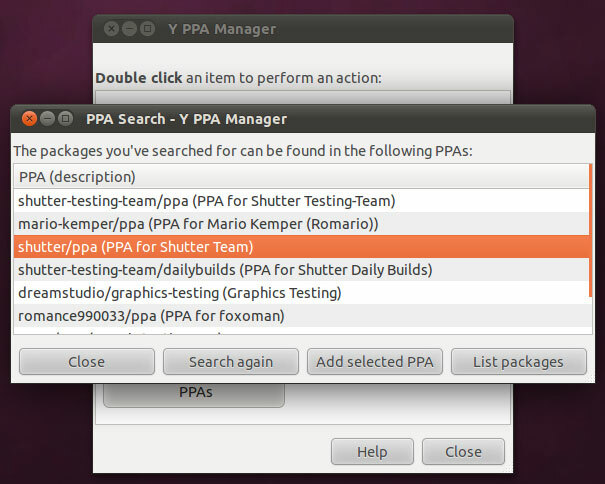 No Comment to " Install Y-PPA Manager 0.0.9.2 on Ubuntu 12.10/12.04 or Linux Mint "